 ATL ValsesiaVercelli - Postua - Mostra Permanente "I Partigiani della XII Divisione Nedo"
"L'alba che segnò d'iride i biancospini. Storia, luoghi e immagini dei Partigiani della XII Divisione Nedo"
The exhibition tells the story of a band of partisans by means of images of the places and the persons involved, because it is always worth taking account of one's own history, both in terms of good and bad, in order to keep the seeds of liberty alive whilst using the example of how difficult and bloody the battle was to gain it. In the foreground are two characters, who did not have the opportunity of witnessing the realisation of the objectives to which they had dedicated their lives: Carlo Pisacane, an important figure of the Italian Risorgimento and Piero Pajetta, also known as "Nedo", who first fought for liberty in Spain and then in the Biellese area.